Baltimore Mayor Stephanie Rawlings-Blake listens as the Baltimore NAACP’s Tessa Hill-Aston speaks about Freddie Gray’s death. (ANTIMEDIA) “We also gave those who wished to destroy space to do that.” Those are the words spoken on Saturday by Baltimore Mayor Stephanie Rawlings-Blake that propelled her into the national political cross-hairs. Americans who did not know the woman’s name a week ago have called for her resignation. Some have even gone as far as to say that she should be charged with inciting a riot. Rawlings-Blake promptly issued a response on her Facebook page clarifying her original statement. “I did not instruct police to give space to protesters who were seeking to create violence or destruction of property,” said the Mayor via her social media account. Instead of growing incensed over a few words said by a politician in the midst of a crisis, we need to focus on what caused protesters and looters to fill the streets of Baltimore in the first place. Freddie Gray, a 25-year-old young man, was arrested for possessing a switchblade. After being violently secured inside of a transport van by officers, he suffered a “spinal cord injury” under the watch of Baltimore police. In reality, Freddie’s spine was “80% severed” at his neck. He lapsed into a coma and passed away seven days later. Despite six officers being suspended, no charges have been filed on anyone involved. Not a single question of substance has been legitimately answered to date — and only an absence of justice appears to be on the not-so-distant horizon. Freddie’s family and community could already possess the truth about what happened in the back of that vehicle on April 12th, but they don’t. The entire incident should have been recorded from multiple perspectives, but it wasn’t. The innocent would be exonerated and or the guilty could be charged. Instead, all we have been left with is a shrouded story that conjures up the ghosts of similarly slain young men. The truth is lurking in the haze, but why? Because Baltimore police officers were not equipped with body cameras. If not for Mayor Stephanie Rawlings-Blake, they would have been. 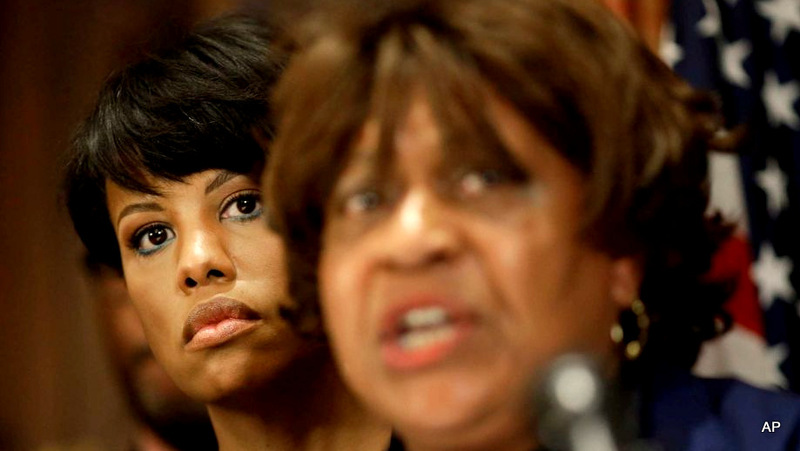 If not for Mayor Stephanie Rawlings-Blake, we would know the truth. Despite the fact that the bill overwhelmingly passed the Baltimore City Council and the mayor publicly declaring that she wanted officers to wear body cams, she still promised to veto the bill. She delivered on that promise. Why did she veto such a common sense bill? The reasons appear to be as simple as pride, ego, and local political posturing. City Solicitor George Nilson called the text illegal, claiming that the city charter didn’t allow the city council to give direct orders to the police department. If Rawlings-Blake truly wanted police officers to be held accountable, as she claimed at the time, she would have signed the bill. Period. She would have set aside her petty political games and served the constituents who elected her. She didn’t and now her city is burning for it. Should Mrs Rawlings-Blake be ruled guilty in the public court of opinion over a few poorly chosen words? Although her press conference demonstrated a lack of leadership when her community needed it most, words are not a physical action. Words did not burn down buildings or loot. Words did not compel the masses to pour into the streets of Baltimore. An action of injustice did predicate such outrage. Transparency could have prevented the chaos. Justice could have been served. Too bad Stephanie Rawlings-Blake vetoed it. This article (Baltimore Mayor Vetoed Bill Requiring Body Cams for Cops )is free and open source. You have permission to republish this article under a Creative Commons license with attribution to the author and TheAntiMedia.org.